This client has had solar power installed on many rigs in the past. Some of the solar systems he installed himself, but he had us do the installation on his last rig, and he recently came back to us to install solar power on his brand-new Bay Star. 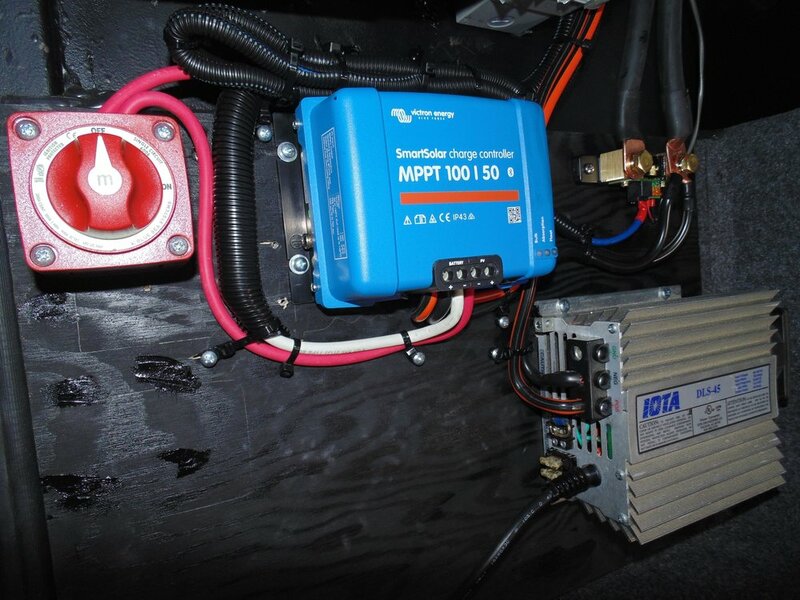 In addition to installing a MS2012 Magnum inverter to invert solar generated power from DC to AC, he asked us to separately install his Iota 45A converter. When necessary, he plans to plug this converter into a small, relatively quiet 2000W portable generator to charge his batteries when his power usage exceeds the power available from solar. This way he won’t have to run his larger, much noisier generator. He says the reduction in noise will go a long way towards keeping his wife happy. 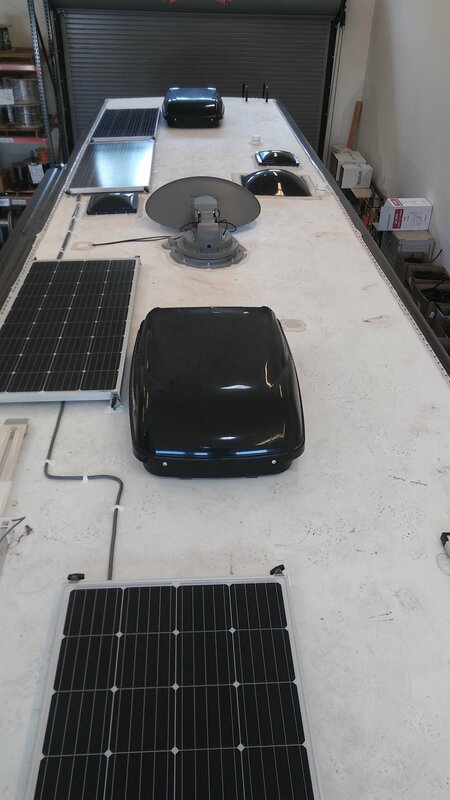 It is surprising that after being in the RV solar installation business for as long as we have that we still make regular discoveries regarding odd factoring wiring/components or cable routing challenges. Despite these obstacles we are still able to deliver. This client for example, with five 160W solar panels will now be able run a residential refrigerator and power an entertainment center. The Tri-Metric monitor will allow them to view battery status down to the amp-hour and the Bluetooth dongle will send solar charging system data to a smart phone. 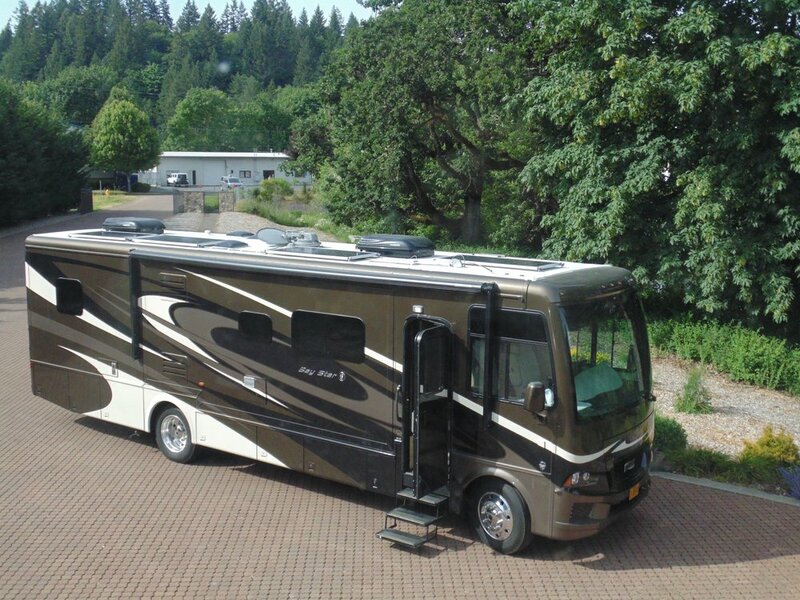 This coach got a powerful solar charging system with a full feature battery monitor and a 300Ah AGM battery bank.